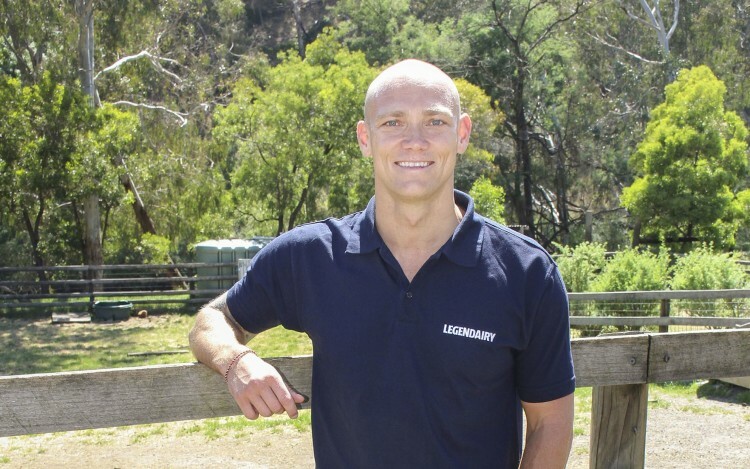 Three-time Olympian Michael Klim has joined Dairy Australia as its Legendairy Ambassador, encouraging Aussies to think beyond their morning ‘splash’ of milk. Klim admits the partnership, which coincides with Dairy Australia’s latest campaign to encourage Australians to start and end their day with dairy, is one that’s been years in the making for the swimming champ. “Since my early Olympic days I’ve always thought a partnership with a dairy brand makes sense for me; not only do I love the stuff, my surname spells milk backwards – surely it’s a no-brainer fit. “Now, almost 20 years and my own Milk & Co skincare business later, I’m personally and professionally chuffed to align with Australia’s industry peak body for dairy,” said Klim. Eight out of ten Australians and six out of ten kids are not meeting the recommended serves from the dairy food group each day, and many parents don’t realise that as children grow their requirements grow too. The campaign aims to position dairy as more than a morning food group, and aside from the play on words, Klim says he’s a big believer in the health and nutritional benefits of dairy. “Dairy was an important part of my diet throughout my swimming career, giving me essential nutrients my body needed for intense training and racing. I found dairy great for my performance in the pool and recovery,” Klim continued. Science backs up Klim’s experiences with recent studies showing milk and dairy foods can help meet sports nutrition recovery goals due to their perfect mix of nutrients to help athletes refuel, rehydrate and repair muscles after exercise. “It’s now a huge part of my family’s diet – I still love all things dairy and my kids are mad for it, but it seems not everyone is the same. The Start and End Your Day with Dairy campaign aims to raise awareness of the health and dietary benefits of milk, cheese and yogurt while also providing practical recipes, information and tips for getting the most out of dairy.